Push-in Female Branch Tee (G, BSPP) connects two tubes to a male thread in both 90° directions. 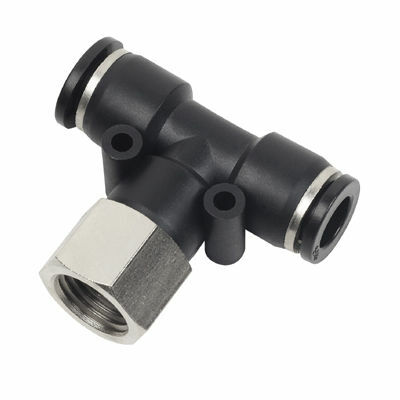 Push-in Female Branch Tee accommodates metric tubing O.D ranging from 4mm to 16mm, inch tubing O.D ranging from 1/8" to 1/2". External tightening with a flat wrench.